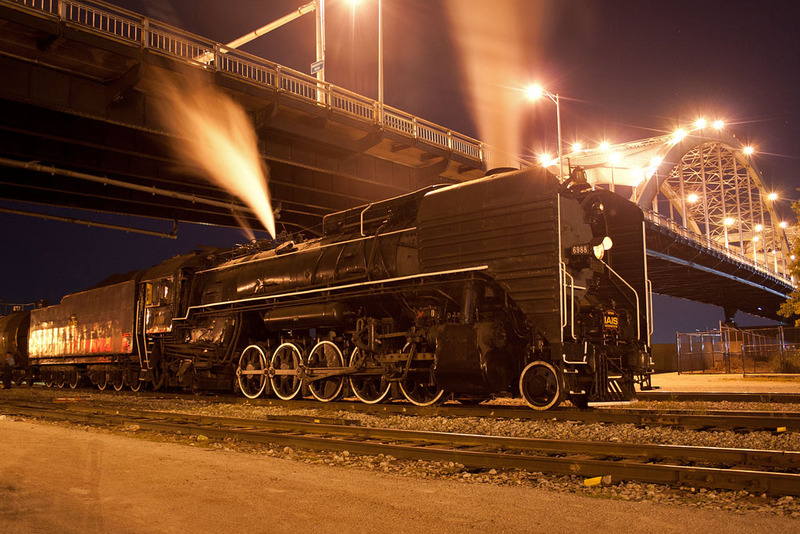 Welcome to the railfan's guide to the Quad Cities. The main focus of this website is inside the "I-80/I-280 Loop" as these interstates make a nice loop around the heart of the Quad Cities. I've laid out each line from each railroad in town and have extended the coverage area some to the other interesting areas nearby. Enjoy! IAIS 6988 lays over for the night under the Centennial Bridge in downtown Rock Island, IL on September 8, 2011. Questions? Comments? E-mail me at trainboy03@mchsi.com. I don't limit my rail photography to just the Quad Cities. Check out my train pics from across the US at RailPictures.Net and Flickr.